Twenty years successfully coordinating, promoting, and implementing design workshops, built projects and high-calibre research Henrik enjoys contemporary practice of architecture as medium provoking positive change to our built environment. leit-werk is a London based multidisciplinary architecture and design studio practising urbanism and designing buildings. Be it an airport, a public square or a private house – we want to create imaginative yet practical solutions that improve the performance, experience and emotional quality of the environment. Working locally and globally we are helping private clients formulating very personal ideas and larger consortia re-thinking connectivity, interlinking of working, living and entertainment with increasing transport requirements. leit-werk is offering its services as a unique platform as design and architecture agency, supporting clients and coordinating the design process with world-leading consultants. Our spaces are to be experienced, and can be used, re-used and adapted over time. We believe that architecture requires a conceptual, process-orientated approach formulating new relationships between spatial, economic, cultural and social parameters leading to innovation with the power to change people’s lives. 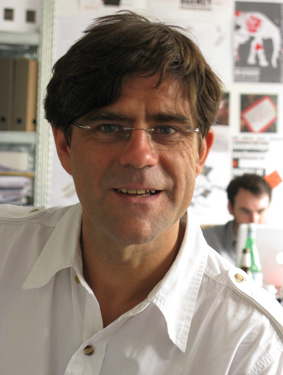 The practice is run by Managing Director Henrik Rothe, Dip Arch AADip Dip Designer, an experienced UK and Germany registered architect, designer and educator, who has demonstrated the ability to successfully lead and contribute to teams and innovation in various architectural and urban scenarios. He studied at the Architectural Association in London and received The President’s Medal of the RIBA in 2000. Prior to his arrival in the UK, he gained a diploma in interior design at the University of Art & Design, Halle Burg Giebichenstein in Germany. Henrik has widely published and taught and is currently engaged at the University of Brighton, the AA School of Architecture and the London metropolitan university, Cass Faculty of Art, Architecture and Design. One of leit-werk’s particular fields of interest are global environments like airports as urban and cultural phenomena. The practice is aiming to create long-term strategies to overcome the separation of hitherto isolated functions, redefining the airport as part of a wider infrastructure. leit-werk often operates as think tank within larger consortia. Work on 48 projects in 35 countries has established the company as an integral part of an established network of consultants and experts siting, planning and designing airports. leit-werk leads and participates in airport master planning; sizing and designing Passenger terminals, ATC Towers and Air Traffic Control Centres, FBO and VIP terminals, hangars and Airport cities. Our engagement with urbanism includes masterplans and design for buildings and their setting within the urban fabric, often related to high concentration of people. 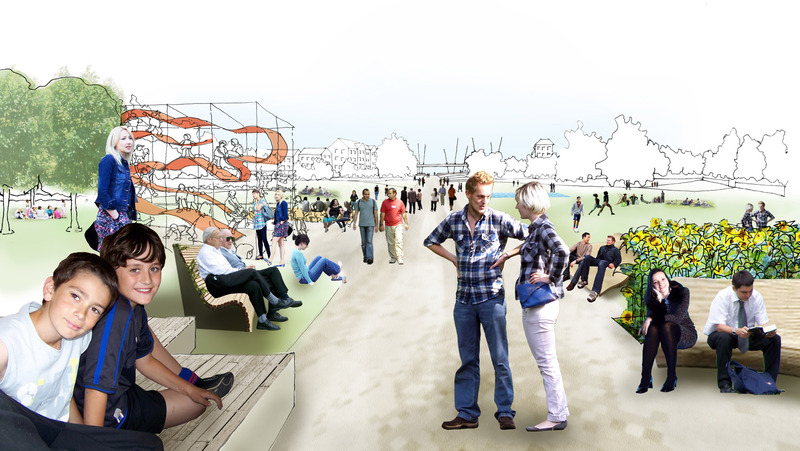 We enjoy working in collaboration with transport planners, artists, and specialist consultants sensitively intervening city centres with new permanent and temporary uses, inventing new, urban landscapes and promoting shared space. Wayne Hemmingway called our work ,a European approach’. We explore new spatial and social relationships, and take a serious approach to establish the airport city as a new urban typology, stimulating symbiosis between transient communities and residents. We aim to connect people by attracting new technology to remote regions. leit-werk has designed civic and commercial schemes in the UK and abroad. We regularly participate in competitions and see new clients worldwide to win new work. leit-werk has extensive experience in residential design from planning applications to building control in London and abroad. Our clients in the UK benefit from our knowledge and experience of our work in Germany and Central Europe in promoting advanced building technologies. As much as we love to engage in hugely complex and long-term planning and design processes in airports we enjoy expressing our passion for details in private residences. As practitioners we enjoy the application of our expertise as much as to engage with new challenges. Research is becoming increasingly important in the development and implementation of built projects and in the establishment of contemporary design strategies. leit-werk has an intense relationship with academic institutions and is linking academic research to contracted projects. We have a long involvement with the Architectural Association, where Henrik Rothe also taught design workshops in London and Khartoum with Carlos Villanueva-Brandt, Jorge Fiori, Elena Pascolo and Alex Warnock-Smith. Henrik Rothe is also regularly invited guest critic for Diploma Unit 10. Matthias Sauerbruch characterised leit-werk’s contribution ‘a new generation addressing the righ questions and closing the gap between planning and design’. leit-werk engages in the debate about contemporary forms of architectural education, Duty of Care and preparing students for their professional career. Henrik Rothe is teaching at the London Metropolitan University and at the University of Brighton. Experience from working in many different cultural environments globally has been recognised by investors, national planning authorities and airport operators. leit-werk offers its services as consultant in transforming and privatizing airports (Pulkovo Saint Petersburg), the development of new airports and associated urban developments (Bengaluru) and in the integration of temporary and prefabricated buildings (Altenburg, The Mobile Terminal). We support consortia in bidding for large-scale complex infrastructure projects, preparing presentations, communicate the bid’s message to the client. We also produce flight through and other video animations for our clients. We offer our experience and expertise to clients in public consultation, which has been essential part of leit-werk’s successful design development for St. John’s Precinct in Blackpool, the Urban carpet in Kings Cross and the transformation of Brooks estate in Newham.